Discover fun and educational events happening this weekend in Western Mass, along with announcements, upcoming events, links, resources and the HFVS podcast. If you have a family-friendly event or educational program happening in Western Massachusetts that you’d like to let us know about, post your event on our “Suggest An Event” page. The events below are “suggested.” Please take the time to confirm that these events are happening, along with time, location, age appropriateness and costs before attending. HF Contributing writer, Ellen (of Body Earth) of Williamsburg, has a new post about the health risks of cell phones. She writes: Do you use a cell phone? Does your child? Mobile phone use has grown at lightning speed in the last decade. It’s estimated that more than half the world population pay to use a cell phone, a figure that translates to more than 4.1 billion mobile phone subscriptions! With cell phones all around us, it’s time to start looking at the possible health risks associated with this technology. Read more here. VOCATIONAL SCHOOL APPLICATION PROCESS: Parents of students living in the Gateway Regional School District are advised that applications are now available for students interested in applying to vocational school. Those applications must be submitted by March 1, 2010. VOLUNTEER OPPORTUNITY: Horizons for Homeless Children is looking for volunteers as a Playspace Activity Leader with homeliess children in area shelters. There are opportunities available statewide. They are also looking for administrative and special events volunteers. For more information, click HERE. VOLUNTEER OPPORTUNITY: Amherst Survival Center need volunteers to prepare, serve and clean up after meals; to help sort donations; and to pick up produce and baked goods for daily distribution. Volunteers are needed from 9 a.m.-2 p.m. on Monday, Tuesday and Friday and also from 9 a.m.-7 p.m. on Thursday. Help with: Fresh Food Distribution, Emergency Pantry, Community Kitchen, Free Store, General Maintenance, Administration, and Web page design, forms, online donations, etc. For more information, click HERE. PEACE AND JUSTICE VIDEOS & BOOKS: The Western Massachusetts office of the American Friends Service Committee has an extensive collection of literature in its collection, as books, videos, and DVDs. We are happy to loan these out for community use. To browse the collection and/or borrow items, come by the office during business hours. If you’re coming far, please call ahead to be sure they’re going to be in. 140 Pine St., Florence, MA (413) 584-8975. FOOD FOR FINES: Forbes Library will be holding its “Food for Fines” program from Monday, January 4th through Saturday, January 16th. Support your local community, clear your library account and return library items to circulate to others! During these two weeks, patrons may pay any overdue fines on their account with a donation of canned goods or non-perishable food items. This applies to late fines only and not to lost or damaged fees. All food collected will be given to the Northampton Survival Center for distribution to those in need in Northampton. High demand food items are non-dairy milk, cereal, crackers, canned fruit, peanut butter, tuna fish, soup, macaroni and cheese, pasta and sauce, beans, and rice. Please check your expiration dates. POLITICAL NEWS: On Wednesday State Senator Benjamin B. Downing (D – Pittsfield) was chosen by his colleagues to serve as the Acting Chair of the Joint Committee on Higher Education. Read more here. SPONSORSHIP, ADVERTISING & ANNOUNCEMENTS: Deliver your message to a large local family based audience while supporting the work of Hilltown Families. Advertise your event, camp, workshop, fundraiser, business or announcement on our Weekly List of Suggested Events. Serious inquiries can email us at hilltownfamilies@gmail.com for details. 6-10am – FAMILY RADIO: Valley Free Radio (WXOJ-LP 103.3FM Northampton, MA) offers 4-hours of commercial-free family programing every Saturday, including the Hilltown Family Variety Show and Spare the Rock. Tune in on your FM dial, or listen live via streaming audio at www.valleyfreeradio.org. Youth and Adult Classes w/Aimee Gelinas of Gaia Roots. Try your hand at Afro-Caribbean and West African drumming with cultural educator, drummer, singer and Gaia Roots Co-founder Aimee Gelinas M.Ed. This dynamic, hands-on participatory class focuses on folkloric and contemporary Afro-Caribbean and West African drumming, percussion and singing. Students will learn basic hand and instrument technique, an understanding of how drum patterns fit together, the cultural context of the music, fun and challenging drum patterns and exercises, accompanying songs in many languages and the opportunity to develop, arrange and perform finale presentations. Traditional instruments such as the Conga, Djembe, Djun Djun, Clave, Bell and Shekere provided for student use. Ongoing adult and youth classes are Mondays January 11th to June 28th 2010 at the Lichtenstein Center in Pittsfield. All levels welcome. Youth class is from 6pm to 6:50 pm and is for ages 7 to 12. Adult class is 7pm to 8pm and is for adults and mature teens. Cost is $10 per class. Drums and percussion instruments are provided for student use. Registration required for youth class-parents/guardians please email aimee@gaiaroots.com. Visit http://www.tamarackhollow.com for more info. A Wonderful Alternative or Compliment to Ballet. Nature-based thematic classes offer free and joyful movement while instilling a sense of beauty, form, and musical expressiveness. Introduction to dance fundamentals through warm-ups; dance phrases; Duncan barre and improvisations. Ages 6-12. Parent/Child classes also offered to young children ages 3 1/2 – 51/2. Winter/Spring session begins week of January 11 in beautiful SmartMoves Pilates Studio, 221 Pine Street, Florence. Special arrangements available for groups. Please contact Laura Pravitz for full brochure, times and registration: 413-237-4978 or laura.pravitz@verizon.net. Hilltown CDC announces a three-session workshop on Marketing Your Website, on Jan. 12, 19 and 26, at the Hilltown CDC office in Chesterfield, taught by Peter Pelland. Each three-hour evening session will be from 6 to 9 PM. The total cost is $90, with tuition waivers available for low and moderate income people, and with $5 off per session for Hilltown CDC members. More details are available at http://www.hilltowncdc.org, or by calling 413-296-4536 ext. 12. Learn how to make your website work as effectively as possible. Participants will learn how to measure and evaluate website performance, how to confirm that a site is fully search engine ready and search engine friendly, how to increase the volume and quality of links from referring sites, how to read and interpret Web traffic statistics, how to uncover competitors’ secrets and strategies, how to make Web 2.0’s consumer-generated content work to their benefit, how to use “offline” marketing to their maximum advantage, how to use powerful free tools from Google (including Google Analytics, Google Alerts, Google Maps, and Google Webmaster Tools), and how to take an overall “guerrilla” approach to their website’s marketing – all with a minimal commitment of time and on a shoestring budget. Learn how to get people to your site, how to get them to stay, how to get them to take the prescribed course of action, and how to get them to tell others about their great experience. Advocates for Home Education in Massachusetts is planning a self-guided tour of the Secrets of Tomb 10A at the Museum of Fine Arts, Boston on Tuesday, January 12th, 2010. Meet at 11:00 am in the lobby on the Fenway side. Perennial Food Growing Group will be meeting at 6:30p.m. at Warner Farm in Cummington, MA. Our goal for now is to learn more about permaculture, by teaching each other and reading selected books on the subject. For the next month or two the text we are working out of is Gaia’s Garden by Toby Hemenway. Please join us. We intend to read part one (70 pages) by the November 10th meeting and Part Two by the November 24th meeting. Our immediate focus is apple guilds (the community/ecosystem of flora, fauna, fungi and conditions that comprise a healthy environment for apple trees/orchard). So really, please join us…Let’s build some momentum for perennial food gardening in the hilltowns! The evening will feature choice of soup, salad and bread. Cash bar available. All food provided by local restaurants and businesses. Sit down meal or take out available. Take home a handmade ceramic bowl made by a local potter! This is a great opportunity to support your community and the Amherst Survival Center’s vital services. Tickets purchased online will be held for you at the door. Through picture books and original art we’ll explore spaces and places, both imaginary and real. To help build a relationship that nurtures creativity at home, a variety of materials will provide the opportunity for play, artistic experimentation, and shared learning. After class you are welcome to join us for the 10:30 storytime in the Reading Library. Registration is required. Please visit http://carlemuseum.org/Register for information on how to register by Mail, Phone, or Fax. Homeschool families are invited to join Historic Deerfield’s museum educators to experience a cozy winter afternoon in the tradition of early New Englanders, who used time indoors to do handwork. Visitors can participate in a wide range of activities including making a small quilt to take home and watching as open hearth cooks demonstrate the methods and technologies used for 18th-century cooking. Learn about the imported ingredients that provided flavor and warmth throughout the winter season-tea, spices and chocolate. Also, don’t miss story reading sessions including-Ox-Cart Man by Donald Hall-that will explore the changing seasons and the impact they had on the work and life of early New England families. Admission for this special event is $7 per person, $5 for members, and free for children under 6. Pre-registration by January 3, 2010 is required. Please contact Claire Carlson, Education Program Coordinator at ccarlson@historic-deerfield.org or (413) 775-7217. A program of music, movement, rhymes, and instrument exploration for young children and their caregivers. A unique opportunity for young ones to explore music and each other in a creative and comforting environment. Happy Dan has been leading music programs in the Pioneer Valley and throughout New England for the past 15 years. Join us for his unique blend of music and fun. for more information visit http://www.happydanthemusicman.com.. The Albany Institute of History and Art will be holding a homeschool program on Thursday, January 14. The program will be a drop-off program from 1:30-4:30. Participants will be using a variety of recycled materials to create mosaics. Parents can register their children by contacting Barbara Collins at (518) 463-4478, ext. 405 or collinsb@albanyinstitute.org. More information can be found on our website http://www.albanyinstitute.org. Try your hand at Afro-Caribbean and West African drumming with cultural educator, drummer, singer and Gaia Roots Co-founder Aimee Gelinas M.Ed. This dynamic, hands-on participatory class focuses on folkloric and contemporary Afro-Caribbean and West African drumming, percussion and singing. Students will learn basic hand and instrument technique, an understanding of how drum patterns fit together, the cultural context of the music, fun and challenging drum patterns and exercises, accompanying songs in many languages and the opportunity to develop, arrange and perform finale presentations. Traditional instruments such as the Conga, Djembe, Djun Djun, Clave, Bell and Shekere provided for student use. All levels welcome. Youth class is for ages 7 to 13 and runs on select Thursdays from 3:15-4:15. Dates include January 14 & 21, February 11 & 25, March 11 & 25, April 8, 15 & 29, May 6 & 13. A student performance celebration for family and friends will be held at the last class with a tentative performance at Longmeadow Days 2010 (May 22 & 23). Class series is $165 per student and includes the use of traditional drums and percussion instruments ~ Sibling discounts available. Registration required-parents/guardians please email aimee@gaiaroots.com or call Longmeadow Parks and Rec. at (413) 565-4160. 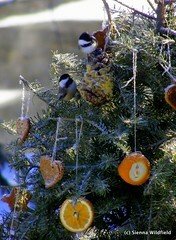 Visit http://www.tamarackhollow.com for more info or visit http://www.lprd.net to register. Social Change Roundtable: We can create and sustain momentum for lasting social change! Family Fun Friday January 15th Winter Escape – Summer games and open swim in the warm pool help drive away the mid-winter blues! Free to Household members with a small $10 fee for non-member families, this theme-based evening of fun includes the bounce house, arts and crafts, and a light snack. The warm pool is available during the evening for family swim.